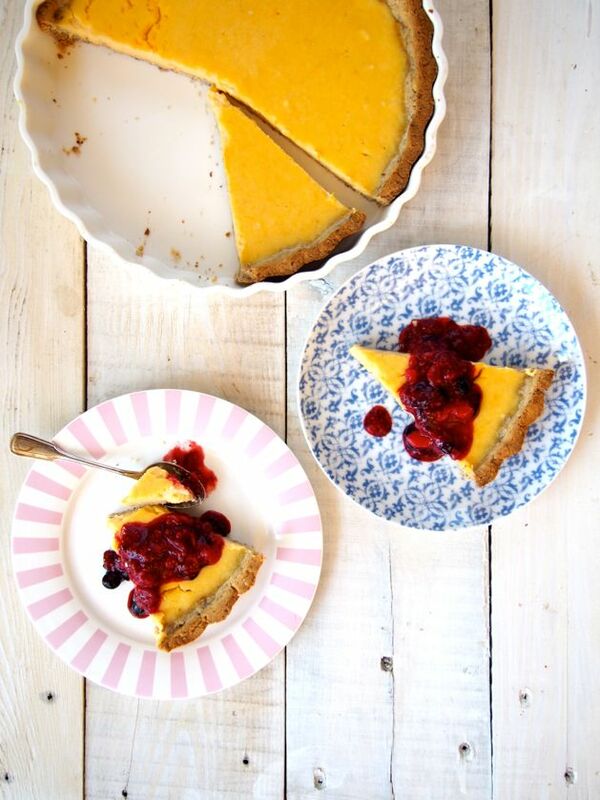 Paleo Lemon Tart | Sugar Free, Grain Free, Low Fructose. 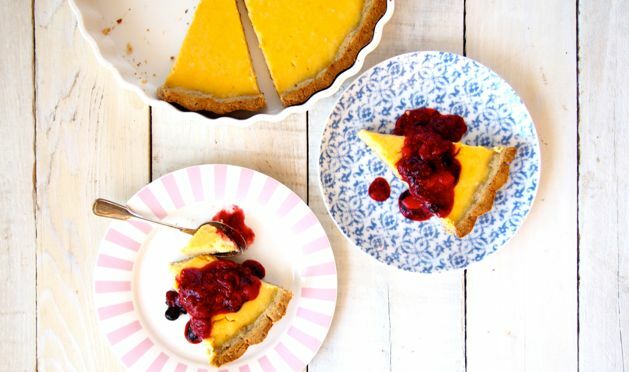 It’s about time we made a paleo lemon tart! We used to LOVE lemon tarts! You know, the ones filled with sugar! We love the tang and the tartness of lemon sweet treats! Do you love your lemon tarts extra zesty, lemony and a little bit sour? We do! 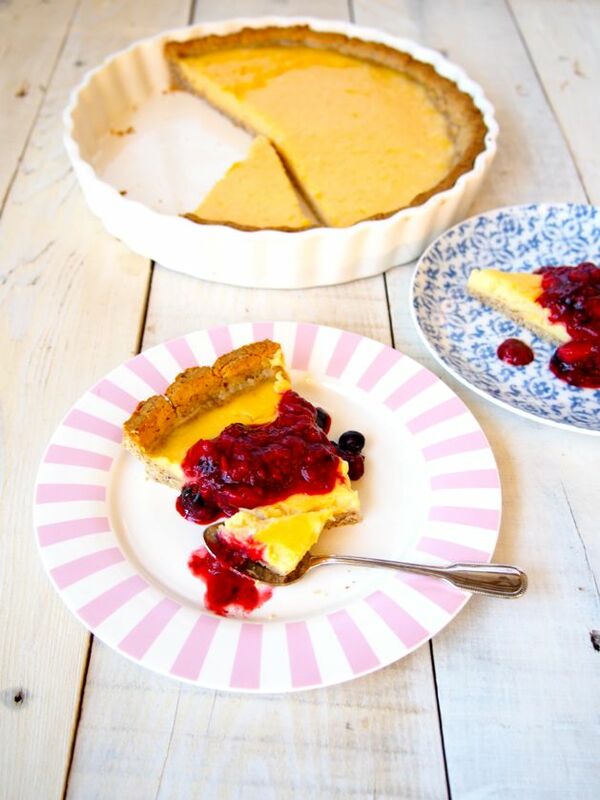 The best bit about this paleo lemon tart is that it’s actually an easy recipe! No lie! We don’t generally make a lot of tarts or pies. The whole crust thing, filling thing and maybe top layer thing mean these recipes fall into the ‘can’t be bothered’ basket. Not today! And trust us… if you make it, you will be happy! Next time we’re going to add lime as well. Coz lemon and lime win. Oh we might even add some whole raspberries. Oh wait… we should definitely whip some coconut cream to go on top. Hello amazing, impressive, knock your socks off delicious sweet treat! A paleo lemon tart recipe that’s actually easy to make and DELICIOUS! Oh yeah. In our recipe we used rice malt syrup to make it low fructose. You can most definitely swap to honey or maple syrup. What ever floats your merry boat! We know you’re going to love it. But be sure to let us know! We’re all over social media, even feel free to proper friend us on Facebook, we’re Emma Papas and Carla Papas. p.s if you’re like us, you’re obsessed with healthy sweet treats. If you think you need to kick start your health journey… then there’s still a couple days to sign up to our 4 Week Program! It starts soon! Check it out HERE! Preheat oven to 180°C (350°F) and grease a 27 cm (10.5 inch) tart tin/dish. Start with the base. Whisk the eggs, butter and rice malt syrup together. Add the almond meal, cassava flour and salt. Mix together until a dough forms, you might need to get your hands dirty! Roll out the dough between 2 sheets of baking paper to about 1/2 cm (1/4 inch) thick). Lift the top piece of baking paper off and carefully flip the crust over the tart tin. Pull the other layer of baking paper off. Press the crust in to the tart tin, using excess crust to fill the edges. We always make the join where the side meets the base a little thicker, as this will make the crust stronger. Poke the base with a fork, this just makes sure it doesn't bubble up in the oven. Place in to the oven for 15 minutes. Meanwhile, let's make the filling! Pour the filling in to the crust and place back in to the oven for 22-25 minutes. 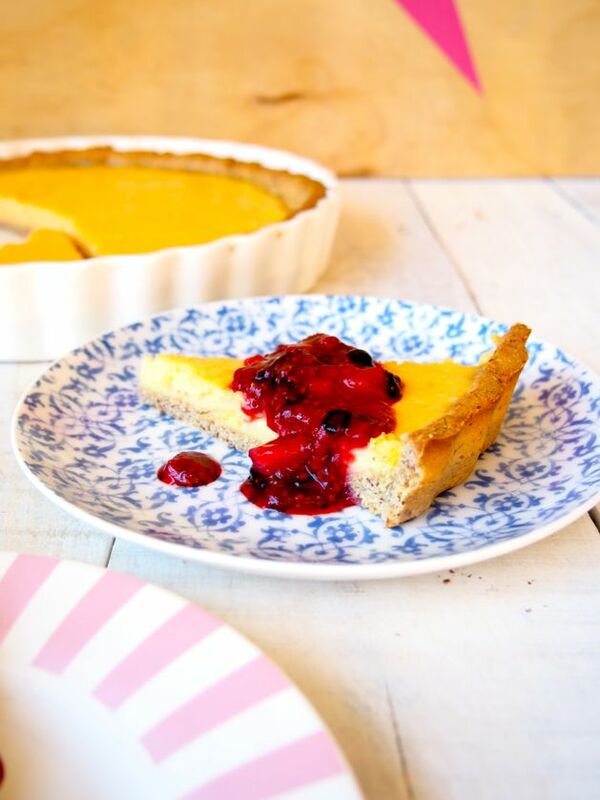 Allow to cool before slicing and serving with fresh pureed berries! You could add lime or whole raspberries to the filling... and that would be AMAZING!